Fresh brand thinking is the remit for Renshaw, who joined SiteMinder to head up marketing globally in January. The Australian-based technology company produces cloud-based guest booking engine for the hotels industry, working with 30,000 hotels across 160 countries and now generating nearly 80 million guest reservations worth US$26 billion annually. It’s Renshaw’s first stint as a client-side CMO, having spent the bulk of his career in agencies building expertise in digital and brand strategy. Having worked his way up to head of interactive for Leo Burnett in Sydney by 2001, he took a regional leadership role in Asia, working on the B2B side with companies like HP, as well as B2C brands such as Procter &Gamble, General Motors and McDonalds. He then moved to the US in a global role, working for ARC Worldwide and Leo Burnett with the CMOs at the likes of Symantec, Samsung and Amazon. For the last two-and-half years before returning to Australia, he was global chair of brand practice for Edelman. The emphasis has firstly been on getting these brands back to a leading position or reinvigorating their marketing at a brand level, he says. “Secondly, I’ve helped drive digital transformation. You can do a lot of great transformation in your marketing modelling work, but if won’t have a compelling brand idea, you miss the opportunity to transform in a unique way,” he says. In coming back to Australia, Renshaw was keen to work for an Australian-based technology company taking its wares to the world in a big way. According to Renshaw, SiteMinder is in at “interesting place” right now. “We have a wide group of customers in 160 countries, and we have a strong reputation, but there’s a massive opportunity to further extend and connect our brand to those customers,” he says. While scant on specifics, Renshaw says the group has ambitious marketing transformation plans, and adds some of the right pieces are already in place. In terms of priorities, meanwhile SiteMinder has to date been largely focused on acquiring new customers. “We will continue to do that and we have ambitious objectives for that. A lot of the infrastructure we needed to do that is already in place and we’re optimising it,” Renshaw says. 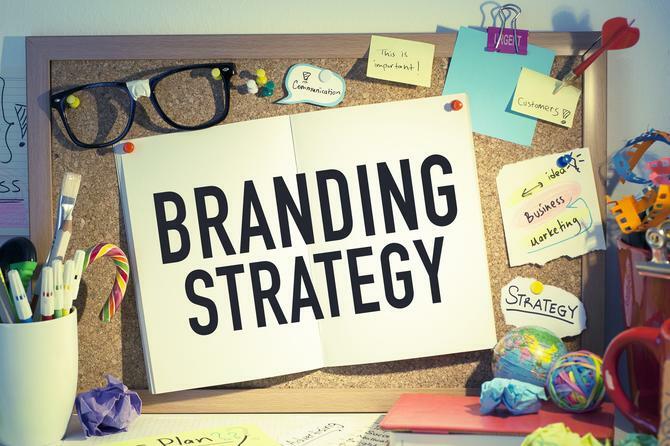 The second focus is how to build out a stronger brand for the company. “There are dimensions to the brand we can live more. That will help with the third area of focus, which is our customers, and building a much stronger community of our customers,” he says. The digital transformation agenda has given companies an ability to leverage data and technology in interesting new ways to try new things, lead and disrupt, Renshaw continues. “If you do that via a solid and fundamental understanding of your brand and what it stands for, that’s where you see the massive upsides,” he claims. What informs this work is a sense of brand purpose. Having done a lot of work in this area over his career, Renshaw says he’s surprised by how many B2B brands have not made this more of a focus in their marketing. Years of research demonstrates people expect brands to take a stand on a particular issue, Renshaw says. “The research shows people expect people to declare if you’re for or against an issue. Sitting on the fence can be dangerous,” he says. “So much of B2B marketing is very serious. Marketing has both strong functional and emotional sides. But B2C are more polarising and take more risks, even with mass audiences where you are likely to get some backlash. Take Nike – there’s an increase in followers and some criticise the brand. With such ambitions, it’s inevitable SiteMinder’s marketing function must evolve. Renshaw says he’ll be looking to hire more people to ensure more dimensional, strategic marketing programs are in play. SiteMinder is also continuing to build out its in-house creative and media team. “We’ll then bring on partners in specific areas, testing and evaluating those around the world. Our external partnerships tend to be more on the PR and communications front,” Renshaw explains. With regards to marketing technology capability meanwhile, the emphasis is on shifting from marketing automation to marketing intelligence. Renshaw is particularly keen to build marketing’s utilisation of these data-driven insights to improve its customer game. The vendor’s customer sweet spot tends to be smaller, independent hotel operators through to mid-market chains with up to 100 hotels globally. “We have to learn from our customers about what their needs and motivations are. Being in a software company, we will have a lot of the behaviour or quantitative data, but it’s when we add qualitative and why people exhibit behaviours – that’s where you get great insights,” he says. “We want to get deeper on the qualitative side of things to understand customer needs more clearly. To get there, Renshaw says fostering the right attitude across teams is vital. “Everyone understands there’s huge potential for us to continue growth in so many countries,” he says. “In many places, we’re just getting started. We need the attitude of getting in there and figure out what will work and be willing to adapt and be flexible in a framework. I’m a big believer in building big brands that are very locally relevant. I’ve been with brands where we had harder parts not up for debate, then some points where you needed to adapt to resonate in a local market.